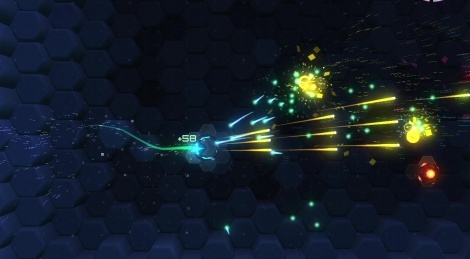 Tachyon Project is a twin stick shooter fairly close to Geometry Wars, although it has something more in the form of a real story told in a fun story mode. If you like the genre, you will definitely have a great time to destroy many enemies assaulting you from all sides. Gameplay videos are available, and we thanks the Xbox network for the digital copy of the game.